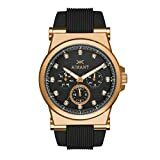 2 How Good are Aimant Watches? 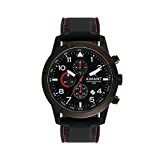 3 What is the Manufacturing process for Aimant watches? 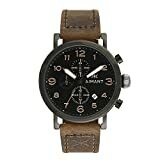 4 What is the Price range of Aimant watches? 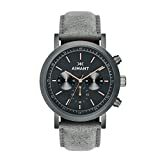 Aimant is a new fashion watch brand. The AIMANT trademark by R.M.W. IP, Corp. and Registered in Panama. They are a newly registered company founded by two cousins Alex and Andrew who had the courage to take that step ahead with good intentions believing that they would succeed. 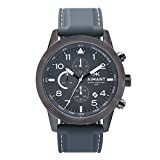 Their watches are designed in the US using Japanese sourced parts and manufactured to achieve maximum economies of scale which means probably that their watches are assembled in China and APAC region. However we are not able to verify that at the moment. The founding cousins came from a family with decades of experience in the distribution of well known watch brands. They were brought up in an environment surrounded by watches and were often tracking time with various types of watches. 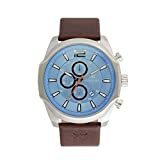 They came to realise the value of time and thereby made sure to take the oportunity to set up this new fashion watch company as opportunities like this don’t come by often. 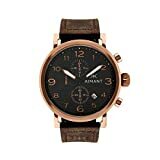 Despite being so young at the time they had the courage to create their very own watch brand thereby fulfilling the dream that their grandfather had. After the initial plunge as Aimant was officialy founded and after many gruelling months of hit and miss what was an idea turned into reality. Aimant means “magnet” in Frence and for the founding cousins Aimant is a celebration of time. In fact it is about living in the moment organizing time for the things in life that make a difference and those that really matter. The Aimant philosophy brings with it a constant reminder that life is relatively short we only get one shot. It is our one life where we must take the right decisions at the right time. Like any watch brand it is formed of many parts and some of them absolutely essential. These of course for Alex and Andrew are the incredible family support as well as the amazingly talented and dedicated workforce which has helpeed to build this brand from scratch. Evry part of these beautiful watches are made from good quality Japanese partsaccording to Aimant themselves. 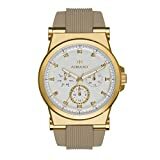 The Aimant watches philosopy and belief lies in a world without borders, where networking and relationships are factors which help to embed aspirations with like minded people. All in all they believe in a world where humanity is celebrated in all its colours and nuances. 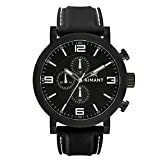 Aimant watches reflect the melting pot of talented people from all over the world converging in togetherness to fulfill their purpose. Aimant watches stresses that there is nothing more precious than living in the moment and that should be realised right now. Everything about Aimant timepieces is to do with the moment and to be fully aware of the value in each moment. The knowledge of which helps to bring the realisation that we are exactly where we should be each and every time. 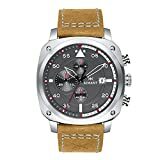 Deriving from the French for magnets Aimant watches truly believe in the power of attraction, namely that positive energy attracts positive things. Aimant watches mission is to create magnets of positivity which do good and inspire others to reach their full potential in every walk of life. How Good are Aimant Watches? 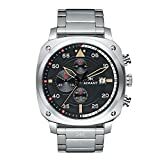 From what the Aimant watches reviews have seen online Aimant watches look preety fashionable and most watches have a good quality Japanese Miyota movement. Good jo they don’t use Chinese movements as that might have given them less credibility as there is not much information about them on the worldwide web. 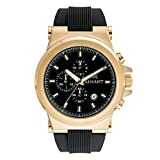 There are Aimant watches for men Aimant watches for women available with various models gaving various feature variations and specifications. Some watches use metal bracelets and others have silicone as well as leather straps. 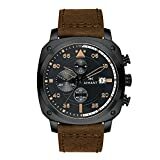 Most Aimant watches have a 5 ATM water resistance specification and others like the AIMANT Men’s Berlin Black with Green with Black Stitches Leather Band Watch GBE-190L3-11 has a 10 ATM or 100 m water resistance. 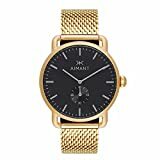 The Aimant watches reviews will continually update this page on the latest information especially concerning how good are Aimant watches. 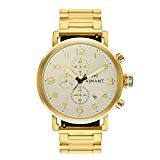 What is the Manufacturing process for Aimant watches? 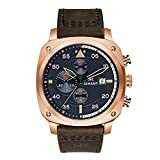 What is the Price range of Aimant watches?